Interested consumers may order the Detu MAX virtual camera for a significantly reduced price through the device’s Kickstarter campaign. 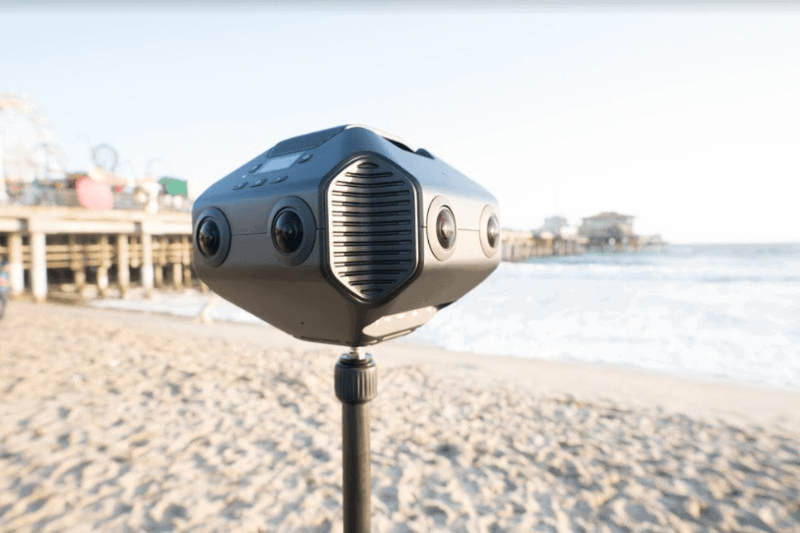 The Detu MAX is a 360-degree virtual reality camera that is capable of capturing 12K images and 8K video footage with the help of an included artificial intelligence chip. The camera’s AI chip uses deep learning methods to create 12K images and 4K 3D video clips directly on the camera itself. To obtain similar results without the device’s dedicated AI hardware, users may have to transfer their images to a personal computer for editing, which is a time-consuming process. The AI chip is also responsible for object-tracking, which ensures that the subject remains in perspective. This feature also guarantees that the presenter stays within the shot during live streams. The Detu MAX is also designed to mimic how human eyes capture the world with the gap between the two lenses of the device measured to match the distance between a person’s eyes. This design, the tech firm claims, should result in lifelike panoramic images and it also allows the camera to capture stereoscopic virtual reality 360-degree videos. Furthermore, Team Detu, the makers of the device, claims that the Detu MAX is capable of shooting clear 3D images from a distance of around one meter, which is significantly better compared to competing solutions which can only capture clear 3D photographs from a distance of 3 meters. Furthermore, the camera can also create 3D VR live streams that could be streamed directly to platforms that support 360-degree video streaming, including Facebook and YouTube. The tech firm further noted that all images and videos captured by the device are stored in RAW and LOG formats respectively, which ensures that the original details of the images and videos are retained. The Detu MAX can also capture HDR videos and images and its 4,800mAh removable battery promises up to 60 minutes of continuous use. Thirteen days before the campaign ends on July 28, the product already received more than $150,000 in funding from backers. However, even though the project has surpassed the funding goals of its Kickstarter campaign, interested consumers may still order the Detu MAX camera through the tech firm’s Kickstarter campaign for $2,299, which is at least $1,300 cheaper than the retail price of the device once it starts shipping in September. Aside from Team Detu, Facebook is also reportedly developing a high-resolution virtual reality camera aimed towards content creators in partnership with RED. You are reading an article on the Detu MAX VR Camera Funded On Kickstarter, Ships In September. All materials on the site Gadgets F, а также и статья Detu MAX VR Camera Funded On Kickstarter, Ships In September - written for the purpose of information enrichment and we are happy if you like our magazine.